With the Africa leg of our journey completed, it was now a race against time to fulfil our promise of being home by Christmas. 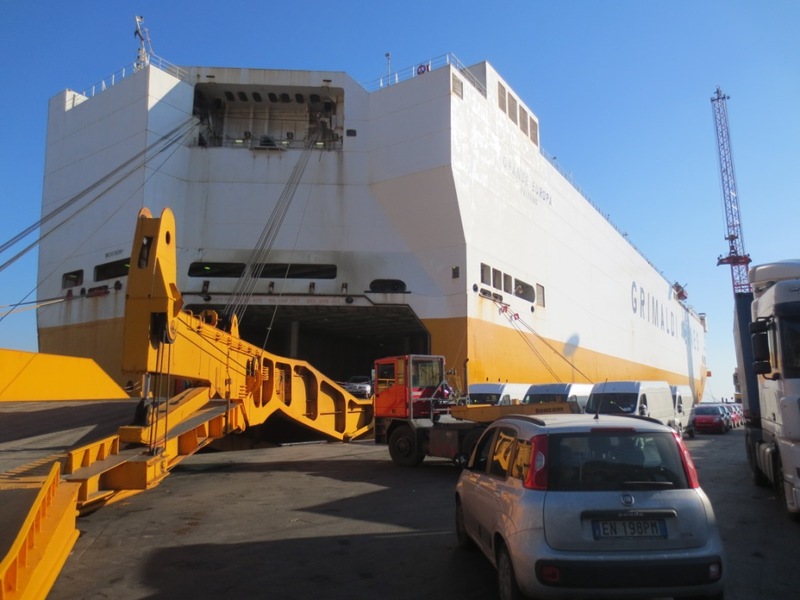 We had decided that the best route home would be to catch a boat from Israel to Italy, using Grimaldi, a reliable Italian cargo company rather than trying to face the nightmare of shipping out of Egypt. So with a few days to kill before our ship sailed, we ventured off into Israel, with no GPS or road atlas just a topline map I’d torn out of a tourist guide! We drove up through the Negev desert, which has to be hands down one of the most beautiful deserts we’ve driven through. Huge mountains and deep canyons provided a spectacular backdrop as we made our way up to the Dead Sea, the lowest point on earth at -420m! A number of flash resorts and spas line the ‘shoreline’’ but the only camping option was in a carpark, but with the mountain backdrop and a view of the sea, it was actually rather lovely as carparks go! 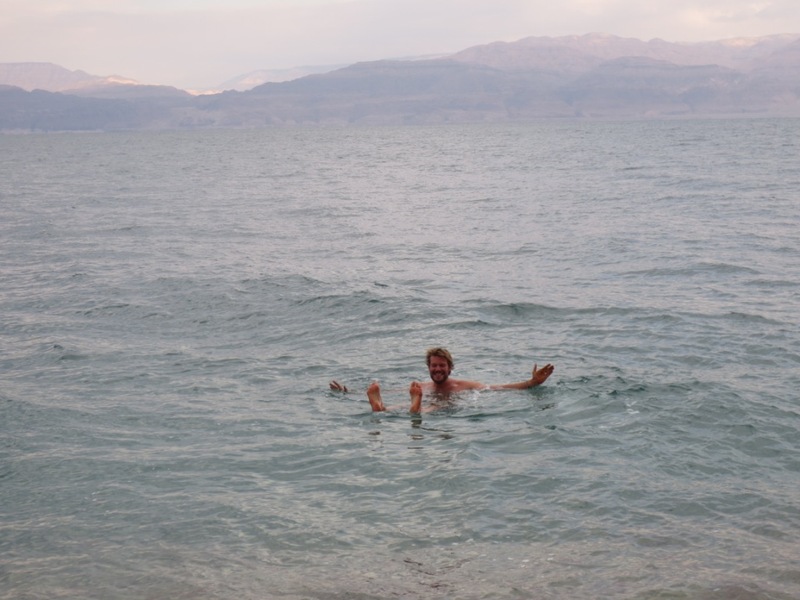 Despite the cool, overcast weather, we were both dying to jump in and test out our ‘’floatability’’ in the Dead Sea. We giggled like small children as we bobbed around like corks in the extremely salty water and for Richard who has not floated since he was foetus it was all rather exciting. From the Dead Sea we headed inland towards Jerusalem, although neither of us are particularly religious, we were fascinated to see the most fought over city in the world. As we entered into Jerusalem, sans map, we were unaware we would be driving through the huge West Bank wall that separates the Palestinian and Israeli areas. As we approached the wall, we were soon flagged down by the army to pull over and there were tense moments while our car was surrounded by soldiers and security checks were done on our car. 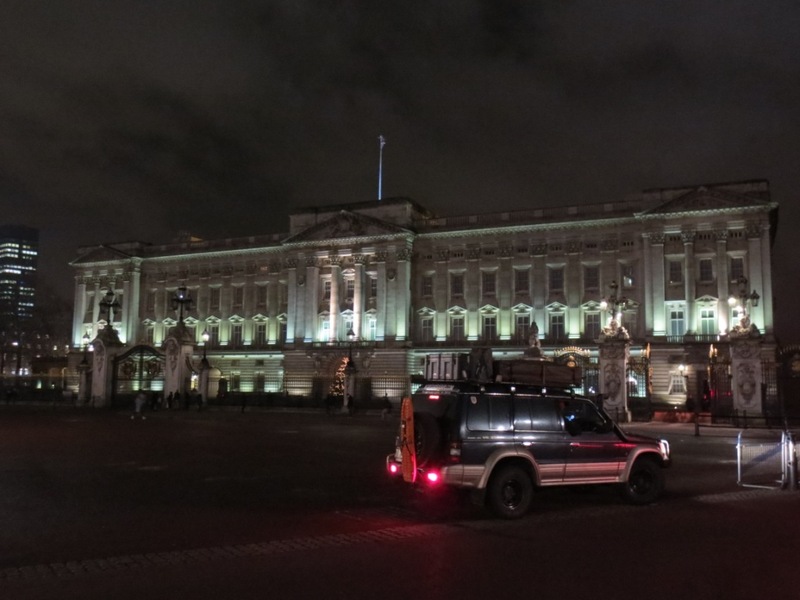 We were soon cleared to go, but the intense security surrounding the city was unreal. We drove to the walled Old Town, which despite its small size contains the highest concentration of significant religious sites for Christians, Jews and Muslims. Inside the walled citadel, the warren of tiny streets lead you from markets to hidden churches to open piazzas – it is absolutely beautiful and completely mesmerising watching so many different religious followers rush about their daily rituals, seemingly oblivious that any other religion exists but their own. The bells of the Christian church chime at the same time the Coptic prayer calls begin, which crackle loudly over the speakers to try and drown out the Muslim prayer call from the far side of the city. It is a total melting pot of religious beliefs, all of which are competing to be the dominant faith and so despite its beauty the ancient city felt very intense. 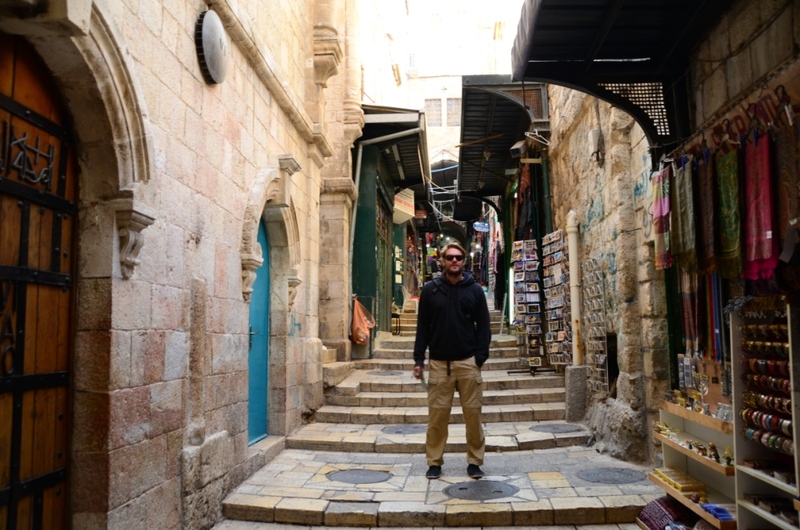 We decided to follow the Via Dolorosa – the final route Jesus took through the city with the cross. It was a fascinating journey through time, finishing at the Church of Redemption (Holy Sepulchre) which marks the spot where Jesus died and is buried. It was hard not to feel overwhelmed by the intensity of those around us, as we watched as people deep in prayer pressed themselves down on the marble stone said to be where Jesus body was laid out after he died. As we moved through the church we came through to the tomb itself, where queues of people waited for hours to go inside, most were deep in prayer, some quietly weeping. Feeling slightly fraudulent that we were in the holiest of places, and not part of a religious pilgrimage we didn’t stay long! For us, it was an intensity level beyond what we were comfortable with and we found the whole thing rather unsettling. Travelling through so many different countries, we have seen the many ways in which religion is used and how beneficial it can be in bringing together communities, providing support in times of need and peace in troubled times. However in the holiest city in the world, it felt like the most divided and intense place we’ve ever been. 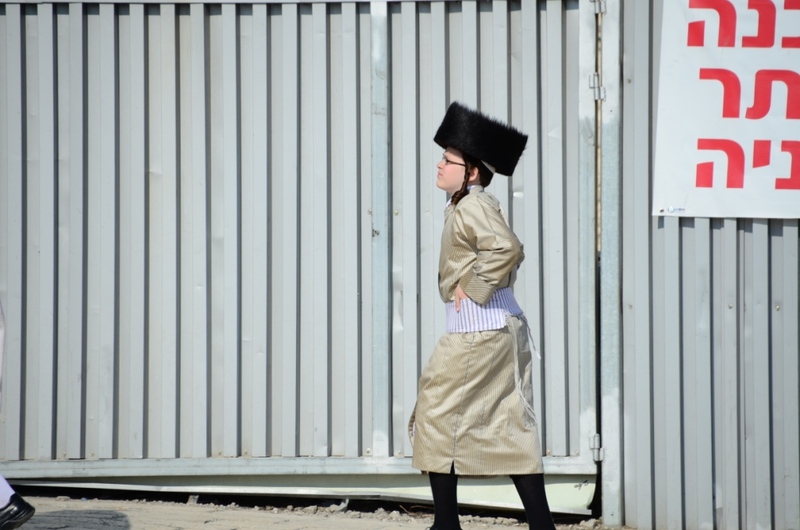 As we crossed over into the Jewish Quarter, through yet another line of armed soldiers and security scanners to see the Wailing Wall, we felt very uneasy. 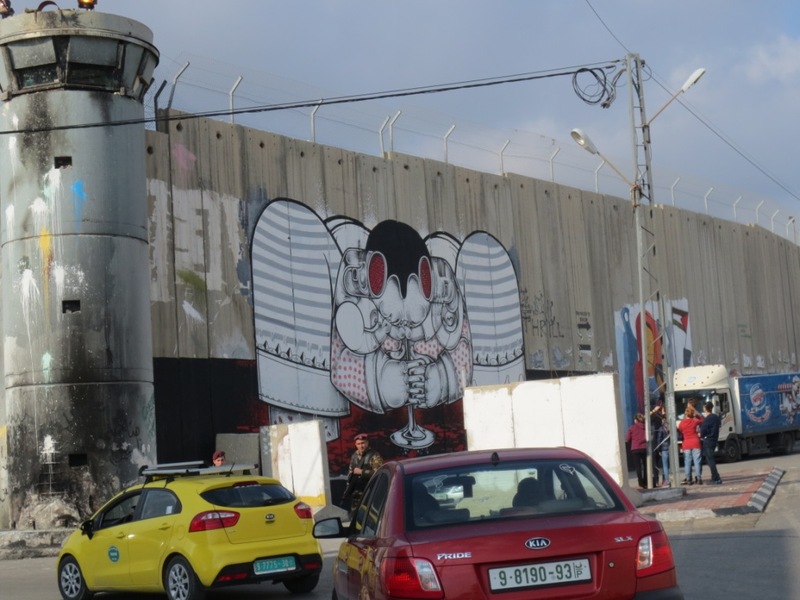 After our foray through the ancient city, we decided to head out to Bethlehem – afterall it was nearly Christmas. In my mind I was still expecting the nativity scene, but there wasn’t a manger or a donkey in sight. 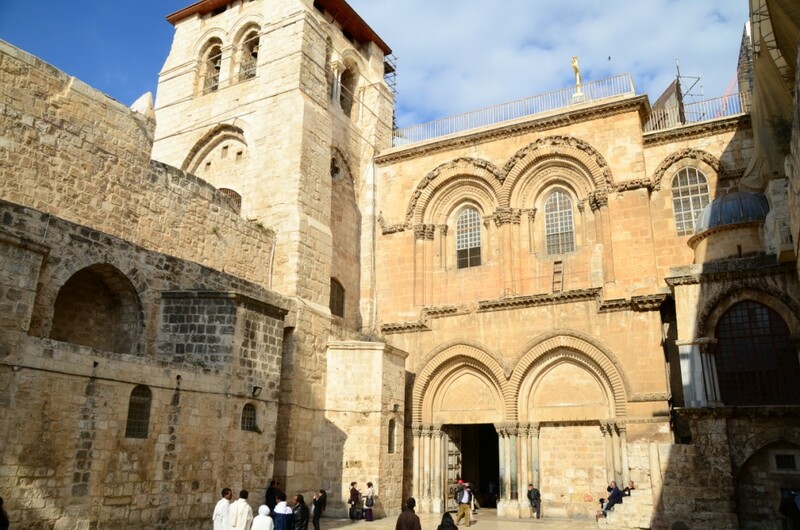 The church of the Nativity now marks the spot where Jesus was born and queues of 2 hours long waited to go down into the room, where a marble cross marks the exact spot where Jesus was born. We wondered around the church and were allowed to go down an alternative set of stairs and skip the queues into the lower levels to see where Jesus was born. We stood back and watched as people pushed and shoved their way through to touch the stone that marks the exact spot. It was certainly a fascinating and eye-opening experience. 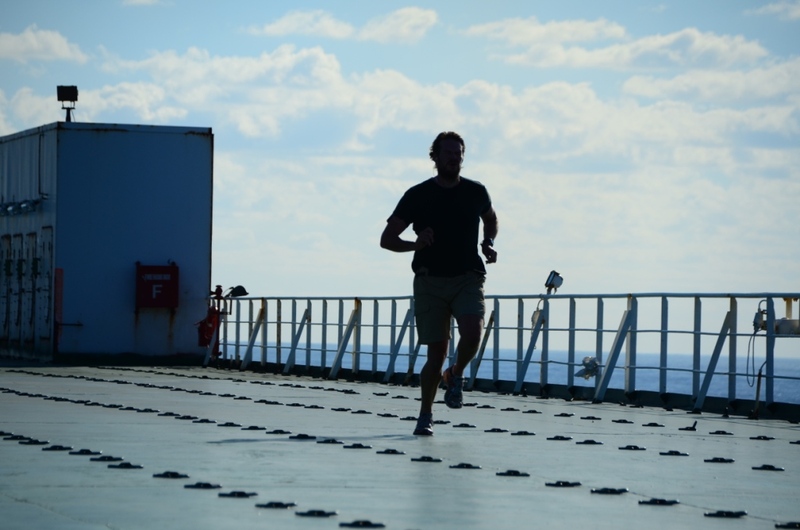 By the time our shipping day arrived, there was a huge sense of relief to finally be onboard knowing that we’d completed the hardest section of the journey and from here on in, it would be plain sailing so to speak. Our home for the next 5 days would be the Grande Europa an enormous, 50,000tonne car freighter ship which although designed for cargo shipments has had a number of cabins converted for passengers – although on this voyage it would just be us and 25 crew. For the first time in months we could sit back and let someone else worry about where we were going, what food we would eat and resolve any mechanical issues – bliss! We had a steward to look after our every need and a fantastic Italian chef preparing 4course meals for Breakfast, lunch and dinner! However, as we headed out into the Mediterranean the seas soon began to swell and as we tried to relax in our cabin that night, the boat began to lurch heavily over the waves. We awoke to the news the next morning that the Port of Alexandria had closed due to bad weather and so we would have to wait until the storms cleared. We spent 4 days at sea, enduring gale force winds and crashing waves. Despite the size of the boat, felt like we were on a small dinghy. The waves throwing us upwards, before falling back down 20-30m into the trough of the wave. Our saving grace was to be able to pass the time lying down watching back to back episodes of Breaking Bad and Game of Thrones – we day we hit a new record of 10hours straight! By the time we reached Salerno in Italy we were 4days behind, so there was no time for sightseeing. We just wanted to get home. So in 3 days we drove the length of Italy, up to the snow covered Alps into Switzerland and the wine regions of France and onto Calais to catch our next ferry. Expecting more delays due to the bad storms and snow, we actually made such good time that caught the channel ferry a day early. We were exhausted and bleary eyed and having expected that our first sight of the white cliffs of Dover would be an emotional moment I think we were just too tired to really register what was happening. 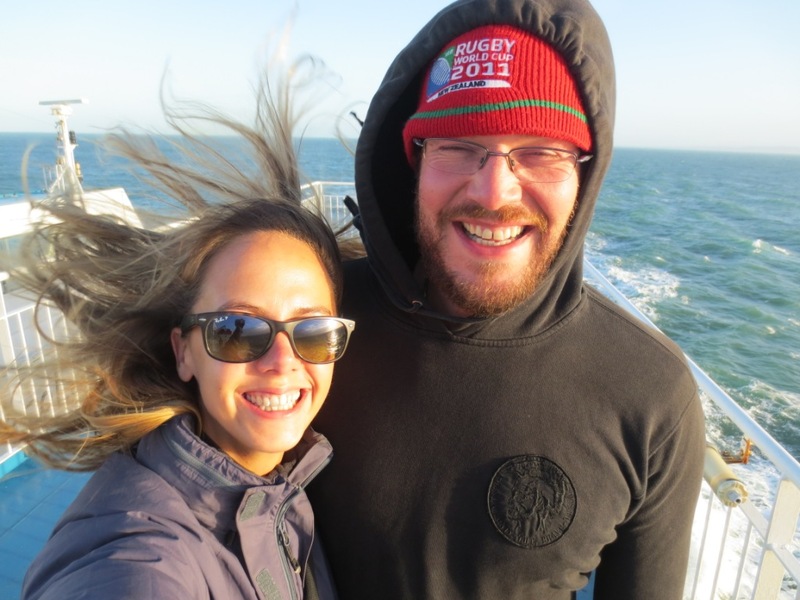 Nearly home – very cold crossing the English Channel! As Kylie’s wheels touched down onto English soil, it was a big moment, the phone calls and text messages soon started and we drove onto London in a haze of excitement, relief, sadness and anticipation of seeing our families again. Initially a welcome home brigade had been organised to meet us on Tower Bridge the following day, but having arrived earlier than expected we were happy not to have a public fanfare. Just us, finishing our journey together, an incredible moment that was almost too much to take in. As we pulled up alongside Tower Bridge, our journey from Sydney to London was complete, 40,539kmls, 21 countries, 255 days one hell of an adventure! We’d bloody done it! And sadly, although all good things come to an end, to make it back in time for Christmas with our families was the perfect ending. We hope you have enjoyed following our adventures – you’ll be pleased to know there are still more stories to tell and trip summaries to write – so don’t tune out yet! We would like to thank all of you who helped us make this dream possible. From our families who gave us continued support and never said ‘Don’t go’ despite what things looked like on the news, to those who helped us out of sticky predicaments – towing us across deserts or digging us out the mud, the mechanics that kept our old girl Kylie going, our fellow adventurers who kept spirits high on the road, the motivational messages, kind words and comments from friends across the globe and of course the generosity of so many people who welcomed us with open arms and showed us the real Africa. Congratulations, I hope the Pajero Club of Victoria stubbie holder I gave you when we met in camp made it home to London. It’s been great following your wonderful adventure. Thanks Tony! Stubbie holder came with us all the way and will be with us for evermore!! Wishing all of you at the club a fantastic 2014! Stay in touch! Gooday So glad you made it safely, great adventure, so sorry for damaging your windscreen, looking forward to hearing more about you trip, absolutely inspiring. Stay safe have a great 2014, have a great and wonderful future…..